Egypt improved by 15 ranks since the 2012-2014 assessment, however, still at the bottom 30. 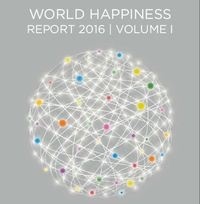 Egypt came in the 120th place out of 157 in the annual World Happiness Report 2016. Egypt progressed from the 135th place in the 2012-2014 ranking, however, it maintains its place among the least 30 happiest countries in the world. Denmark retrieved its place as the happiest country in the world after ranking third in 2015. Switzerland came second followed by Iceland and Norway. United Arab Emirates came in the 28th rank ahead of France and Spain recording the 1st place among Arab countries. In General the Middle East and North Africa (MENA) region recorded the least happy region in the world. Although Saudi Arabia was ranked 34, Qatar 36, Algeria 38, Kuwait 41 and Bahrain 42. The report uses some indications to measure happiness and well being like GDP per capita, social support, healthy life expectancy at birth, freedom to make life choices, generosity and perception of corruption among others. This year the report paid special attention to inequality in distribution of well-being, recording that happiness inequality increased in the majority of countries. The experts who prepared the report stated that people are happier in countries where well being is more equally distributed. In the 2015 report measuring happiness between 2012-2014 Egypt had ranked 135 out of 158 countries.